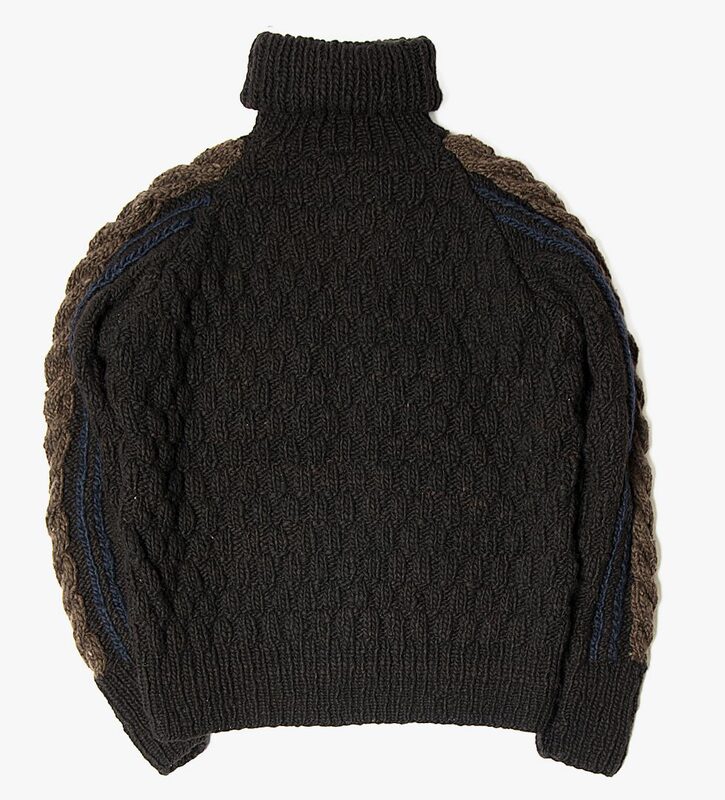 This rollneck from Chamula is a serious winter heater. It looks like a knitted M&S Belgian biscuit collection. Yet is entirely free from pecans, almonds and eggs and is safe for nut and peanut allergy sufferers. That said, there’s a lot of brown going on. And that hefty ribbing. You could be quite tempted to take a bite, were it not for the fact that you’d just end up with a mouthful of damp fluff. Chamula falls under the MEG Company umbrella of brands (Epperson Mountaineering, Monitaly, Yuketen) Yuki Matsuda’s collection of contemporary authentics. Arguably, out of the four, Chamula gets the least play in the UK. You’ll frequently catch the bobble hats over at The Bureau and End, along with a few pieces of jewellery. However the sweaters are rarer, this one, along with three plain versions have recently dropped at London’s Present. Matsuda spend a swathe of the 90s in Mexico, fell in love with the place and consequently all Chamula goods are made there by hand, by local craftspeople. All wool is sourced from Mexican mountain sheep, which apparently results in a non-itchy Merino knit. How this all contributes to a sweater that looks like an elaborate chocolate fancy is unclear. 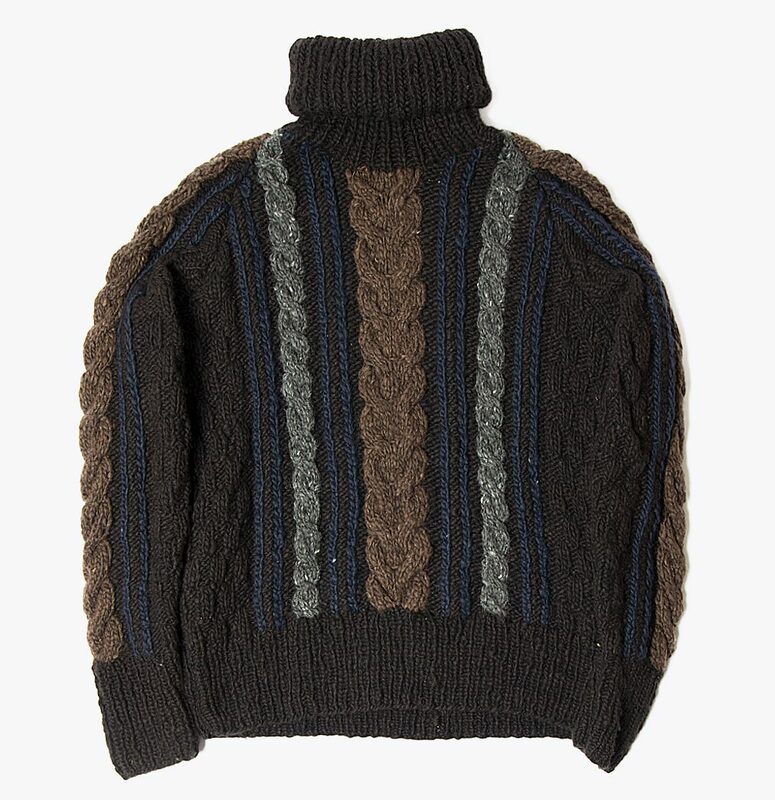 But if your stylistic palette can stomach this much cocoa, caramel and biscuit, this knit will surely prove useful as the temperature in pub gardens continues to drop.